Read our comprehensive Teaching Career Guide for detailed information on what it takes to become a teacher. We cover a multitude of different subject areas, career choices, and educational degree requirements. Deciding to become a teacher is a selfless act that means dedicating your life to helping others improve upon themselves, whether it's teaching a second-grader how to multiply fractions or Fundamentals of Business at a university. A teacher is able to choose a subject that they are passionate about and spend their lives enriching themselves through the acquisition of knowledge while also sharing that with others. Whether you are hoping to have your own classroom of eager kindergarten students or dream of instructing hundreds at a prestigious university someday, your career as a teacher all begins with your own degree. The journey to becoming a teacher within your state can begin with your desire to educate others within various or specific fields. In order to properly engage with students on an educator's level, you should have ample training and knowledge regarding the many diverse theories and models in teaching. The best way for you to qualify for the many different types of educator jobs out there is through engagement in bachelors-level degree programs in your field. Completing your bachelors degree is not only a great experience, but it is also required if you plan to pursue a professional license in your state. Since the bachelors is the minimum degree requirement for licensure, there are large amounts of applicants to these programs all over the country. Some students can choose to pursue higher level degree programs to help increase their chances of obtaining the positions they desire, or simply to learn more about the field that means the most to them. Regardless of which degree program that you settle on for your career, your involvement in these degree programs can help you learn the fundamental principles of teaching school-aged children in a classroom setting. There are many different considerations to sort through when you are interested in enrollment into degree programs in teaching. Some of the most important factors regarding your education are directly related to the quality of your program and the specialization. Since teachers must be licensed in order to operate their own classroom learning environment, degree programs offering certificates in teaching must be reviewed and approved by the correct governing agency. The degree programs that you enroll in must also be accredited in order to help you become eligible for licensing in your future. The Council for the Accreditation of Educator Preparation (CAEP) is the agency of choice for researchers of teaching programs for enrollment. The role of this agency is to review and accredit degree programs that are marketing teaching or education within their program offerings. Accreditation from the CAEP includes an initial program review, as well as follow-up reviews to ensure that programs remain relevant and consist of all of the require courses for licensure. Bachelors in Teaching and Bachelors in Education programs are the most basic route to a career in this field, but they are not the sole option for interested learners. Some professionals in this field have varying degrees in specific subject areas and have received further certification in teaching from a CAEP-accredited program. If you are someone that has already achieved your bachelors in another subject area, but are still interested in teaching, you should review what is required in order to help you transition into a training program within your state. A large number of students intrigued by the field of education weigh the benefits of moving into higher degree programs as a means for finding better career opportunities. The Masters in Teaching or Education can help you learn more about the advanced dynamic of the field of education, as well as present some management techniques to help sharpen your skills all around. The masters is not required for the basic teacher's license, but may be required if you plan on pursuing a career at the collegiate level. In the standard school setting, having a masters degree could possibly help you qualify for higher tier positions within your school. There might be a frequent advantage to pursuing a higher degree in the field of education, since there are careers available to teachers, curriculum specialists, and instructional leaders. The more time and effort that you put into earning your degree, the more you could possibly see from the employment opportunities that can result because of it. If you decide that moving into a masters program might be a great step in the right direction for your career, you should again reference programs that have received accreditation from the CAEP. This leader in accreditation currently provides a list of provider schools for you to browse through to truly see the extent of your opportunities within your area. Accredited degree programs are the most preferred by licensing agencies and can provide you with the most up to date curriculum and expectations in the field. TeachingDegrees.com was developed in an effort to help future students like you find reliable and relevant programs within your field. Through our website, you can learn more about CAEP-accredited degree programs with focus in elementary, intermediate, and secondary education. Some of the programs accredited by this organization may also allow you to specialize in subject areas that are of interest to you, such as Mathematics, English, or even Social Sciences. If you have an interest in becoming teacher in the intermediate domain or higher, a specialty certification may be required. Students seeking entry into the field of education can pursue different settings for their degree program. With a large number of students showing an interest in teaching, but lacking the free time and availability to attend courses in-person, the need for more attainable options has been apparent. If you are one of the many learners that are seeking the most convenience with your education, you can choose to complete your Masters in Teaching program in the online setting. Online degree programs often provide learners with access to the same experienced instructors as traditional programs and allow them access to online attendance in classes that contain all of the same elements. The course work in the online setting may include those that cover curriculum development, management in the classroom, and even leadership among other teaching professionals. Setting yourself up for success in a teaching career should involve close attention to detail when choosing your degree program and potentially your specialized subject area. In some cases, having experience in the field of teaching can even increase your ability to be hired into the career you desire, making a steady balance of education and experience a life-changing option. If you are already a licensed teacher at the bachelors level, but are interested in completing a higher level degree, online degrees could be a great option that allows you to continue gaining important experience while enrolled. At the master's level, students can look at teaching from a more focused perspective. The goal of the Master in Teaching program is to allow students to explore theories related to child and adolescent development, as well as learn more about the techniques that have been proven effective with children in varying age groups. Choosing the online forum for your education can allow you the freedom to learn while maintaining a full-time teaching job. As with the traditional option, students that choose the online setting for their program may also be expected to take part in a student-teaching experience before completion. Students that are already full-time teaching professionals may not be required to engage in this step of the program. Online programs can also prepare you for completion of a higher tier Praxis examination once you have successfully moved through the masters curriculum. If you would like to learn more about Master in Teaching programs in the online setting, you should seek out information from the CAEP. This organization provides you with a list of currently accredited universities that can lead you into masters-level licensure in the field of education. CAEP programs that offer teaching degrees online include those found at universities such as Western Governors University, Ashford University, and Capella University. Each of these accredited universities offer a wide range of online teaching programs that can align with your interests in a generalist teaching certification or even certification within specialty subjects such as Mathematics or English. One of the most important steps towards being hired into your first position as a teaching professional is licensure. The licensing process begins with choosing the right degree program, which would include a program that has received accreditation from the CAEP. The minimum degree requirement for receiving a license is the bachelors, but some students do choose to move forward into a masters-level program as a means for standing out among their peers in the field. During your bachelors program – or additional teachers preparation program if you come from a bachelors in a field other than teaching – you can have the opportunity to engage in student-teaching experience that can help you practice your skills in the classroom setting. This type of work experience can be very important to your future career as a licensed teacher. This step is also a requirement in your state, since teachers should have ample in-person experience and supervision prior to managing their own classroom. During your student-teacher time-frame, you should have a supervisor that can mentor you as your progress and also provide you with tips to help you increase the quality of your skills along the way. The in-person practical experience requirement could last anywhere from one semester to an entire school year depending on the program you are enrolled in. Finalizing your student-teaching experience may likely be followed up by immediate preparations for the Praxis examination. The Praxis is the go-to exam for upcoming educational professionals interested in receiving credentials that can get them into the door of schools within their area. This test is offered in different formats that can be closely related to the type of teaching position you are interested in being a part of, such as elementary education or specific subjects in intermediate and high school. Teachers may be highly sought after in school systems within your state, so you are encouraged to explore which certifications could provide you with the most opportunity. When you are applying for licensure, your state will want to see proof of your completed degree program, student-teacher experience, and Praxis scores. These components will be the ultimate determinants that decide whether or not you receive your initial practitioner’s license in the field of teaching. Submitting your application along with all of the required documentation can help you to ensure the quickest return on your decision, which can help you get into a teaching position in the fastest time possible. Receiving your license in teaching should be followed up by continual training and follow-up applications for license renewal throughout your career. While there are very specific steps to take to ensure that you are qualified to become a teacher, it can provide you with an optimum level of excitement once completed. In the U.S., teachers are an important commodity in the improvement of societal standards of education and the overall quality of education provided to our children. Entry level teaching professionals can obtain careers as K-6 teachers, intermediate school teachers, or secondary school teachers. In some cases, experience paired with additional training could even qualify you for leadership positions within your school system. Here at TeachingDegrees.com, our team is dedicated to providing you with the most up-to-date information regarding your future career path and the most prominent opportunities available to you in the field. Teaching positions are the most common job options for graduates of bachelors and masters programs in this field. Some teachers often pursue higher tier positions after they have gained some experience in the field, which can include positions that are focused on developing all-inclusive curricula or reviewing the status of school systems within their area. There are multiple options for you to consider as your progress in this field and our team encourages you to explore these career titles in depth. In the section below, take a look at some of the highest paid careers in the field of teaching. As you make your way through the educational and practical requirements, you are encouraged to set your sights on a career that is suitable for your goals as an educator and your philosophies on helping others. Postsecondary School Teachers: $72,410 on average per year (BLS). High School Teachers: $59,170 on average per year (BLS). Instructional Coordinators: $63,750 on average per year (BLS). School Principal: $94,390 on average per year (BLS). All K-12 teachers are required to have at least a bachelor’s degree. 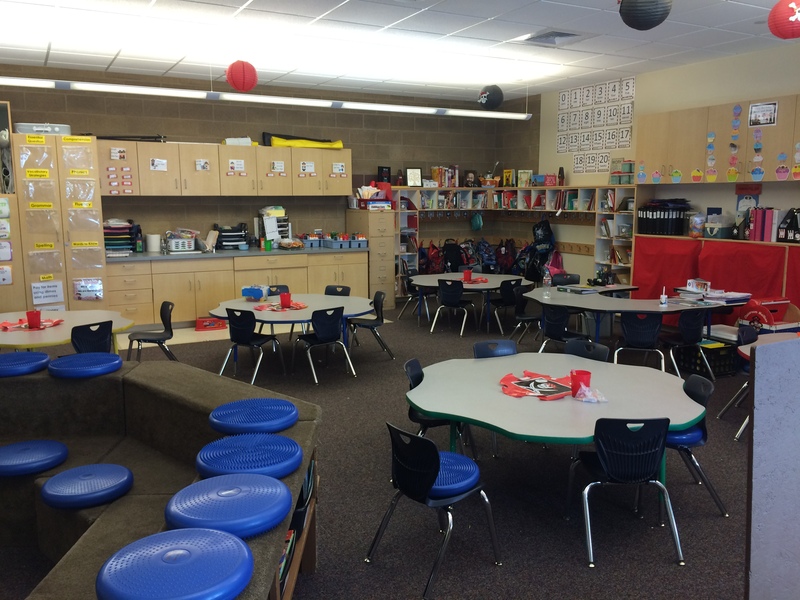 A four year program in elementary education is needed to teach children from kindergarten and beyond, while a preschool teacher may be able to find a job and begin teaching with an associate’s. However, in today’s competitive job market and the advancement of education resources and training, a bachelor’s degree is preferred among employers. A Bachelor of Elementary Education can prepare you for a future of working with children in kindergarten through 6th grade. You will learn how to teach them the skills they need to develop across a variety of core subjects and such as language arts, mathematics, science, social sciences and electives. Psychology and communication skills are also highly important to be a successful teacher, because beyond having the academic knowledge, you will need the problem-solving capabilities and social techniques that work well with children and will help you engage students as well as maintain a leadership position in the classroom. All teachers are required to be certified, though the specific licensing and certification required varies among states. The Praxis Series is the most important of teacher certifications, offered in over 40 different states by the Educational Testing Service. Although each state has individual requirements and baseline qualification scores, the typical pathway is passing the Praxis I and Praxis II exams. The National Evaluation Series (NES) is administered by Pearson, a computer-based testing provider. Although it is not offered in every state, the NES exam is a solid test to consider for certification as it is offers a thorough and inclusive test of teachers on a variety of different topics, including several academic subjects. Finally, for instructors who want to go even further, the National Board Certification exam can be taken to demonstrate a teacher’s exemplary knowledge of a specific subject. This certification provides advancement opportunities as well as the potential for salary bonuses and is administered through the National Board for Professional Teaching Standards. The type of undergraduate degree you earn will determine which professional pathway you take, and there are several options to consider right from the start. An elementary school teacher, high school teacher and ESL teacher are the most common teaching positions that provide educators with constant face-to-face interaction with students in both public schools and private institutions. Kindergarten and the years spent in elementary school provide children with the formative skills they will use throughout the rest of their lives, as well as experiences that go on to shape their entire identity as teenagers and adults. A teacher of these levels will have a knowledge of all the core subjects and teach children things such as math, reading, science, social sciences and the arts. A Bachelor of Elementary Education and in-state license are the baseline requirements for an elementary school teacher. An elementary school teacher can work in a public school or licensed private educational institution. Many college preparatory schools offer classes to children beginning at age 4 and continue throughout their entire academic career. Private schools may offer higher quality teaching materials and a smaller student-to-teacher ratio, though the demand for qualified and passionate teachers is greater in public schools, particularly in poorly funded areas. Elementary school teachers work school hours and spend additional time off after work and during the weekends and school breaks grading papers, organizing lesson plans and preparing for classes. They usually do not work during the summer holiday, though they will return earlier than students to begin preparing for the upcoming academic year. The Bureau of Labor Statistics reports the median annual salary of an elementary school teacher to be $53,090 as of May 2012. A high school teacher works in secondary education schools instructing grades 9 through 12, with students who are approximating 14 to 18 years of age. They are specialized in a specific field such as algebra or biology, and instruct that topic on a rotating period of classes according to the particular high school’s schedule. High school teachers face additional challenges in the work place as they are dealing with adolescents, all of whom are going through one of the largest transitory periods of their lives and require more particular and focused emotional support and effective communication that younger children. A Bachelor of Secondary Education and in-state license to teach are needed in order to become a high school teacher. A high school teacher can work in either a public or private school, and the experience will vary depending on the institution. Small schools may leave a teacher seeing the same students daily, while larger public schools will have a teacher instructing 5 classes with 28 or more students. The demand of this large amount of students calls for additional work outside of the classroom, particularly hours spend grading papers and exams, organizing lesson plans and meeting with parents and staff. Teachers are also held responsible for the results on standardized testing at all grade levels, though for high school teachers this can be a cause of even more persistent stress given that they are attempting to prepare students for a life post-graduation. The Bureau of Labor Statistics reports the high school teacher’s median annual salary to be $55,050 as of May 2012. Many parents move to the United States in pursuit of a better life for themselves, but especially for their children. These children are often scared and dealing with a large amount of additional stress as they attempt to acclimate to a new country and culture, which includes mastering a new language of which they may understand very little. This compiled with the need to stay on top of their regular academic instruction requires a dedicated teacher who has both the knowledge of a traditional teacher as well strong patience and persistence. Depending on the level of school they wish to teach, an ESL teacher will need at least a bachelor’s degree in elementary, secondary or post-secondary education, preferably with a minor or concentration in English as a second language. Many ESL teachers earn a standard bachelor’s degree and then obtain their Master of Education in ESL or a graduate certificate in the field. 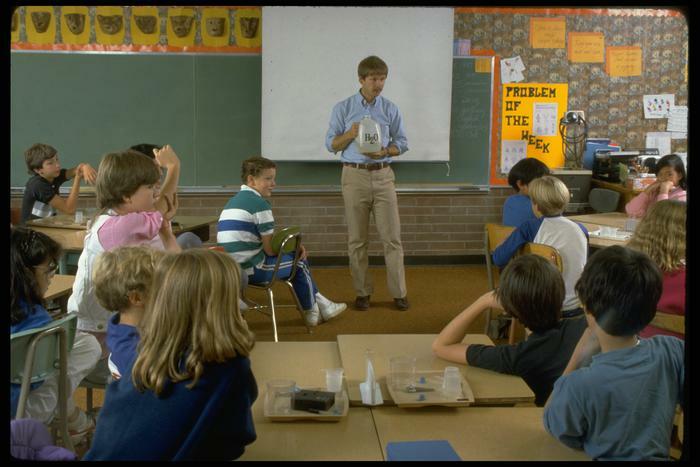 ESL teachers can work across all fields of the education system, but in public schools and private institutions they deal mostly with elementary, middle school and high school aged children. The ESL department is often separated from the common population, so they will be required to implement all the core courses that the student would learn in the standard classes on their own. 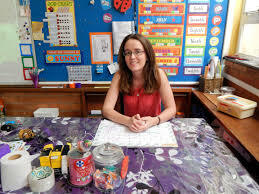 An ESL teacher could also serve as its own unique class, helping students comprehend what they learned in their regular English-speaking courses as well as working on language-building exercises such as word games, puzzles, reading and literature, videos, computer work and quizzes. Real-life interaction is also highly important, so a big part of the job is holding conversations with students in English and encouraging them to contribute while building a level of confidence that will allow them to interact with their peers and the outside world. Often times an ESL teacher may be required to be fluent in a language other than English, most often Spanish, in order to more effectively communicate and comfort their students. It is important that an ESL teacher has a strong appreciation and understanding of other cultures, as well as the psychology of moving and acclimating to a drastically new environment, particularly on children. Many ESL teachers work part-time and receive hourly wages as opposed to the set figure of a full-time instructor. The actual schedule and hours will depend on the particular institution. Some schools may only need an ESL teacher a few times a week, while areas with higher immigrant populations may require one full-time. The Bureau of Labor Statistics reported the median annual wage of an ESL teacher to be $24.57, and likewise a full-time instructor’s income to be $51,110 as of 2013. You may wish to earn a degree and wind up working at one of the same schools you attended as a child and were inspired to join the education field in the first place. Or maybe you have your eyes set on the horizon, across state borders and in an entirely new place. While a public or private school is the traditional route, there are also companies that hire educators and can provide unique experiences that will help you grow both professionally and personally. Fast Company published an article on the top 10 companies for educators, and three of those are featured below. Kaplan is one of the nation’s most trusted and recognized names in test-prep. Millions of students’ lives have been changed by the one-on-one attention they’ve received throughout the company’s 75 year history. The admissions process for employees is extensive, but the job opportunities in both the US and Canada are enriching and unique in that you don’t just belong to a school, but a corporation. Kaplan caters to students at various educational levels in addition to providing graduate and professional courses through programs like Kaplan Medical. Since its humble launch in 2011, LearnZillion is headquartered in Washington, D.C., and is a unique educational platform that strives to provide valuable resources and support for teachers. At present, the company has 120,000 registered teachers and together they work to provide lesson plans and resources based on the Common Core State Standards initiative that has been adopted by forty-four of the fifty states. The idea of Pedagogical Content Knowledge (PCK) is at the heart of all of LearnZillion’s content and they strive to provide teachers with resources and materials that will go on to be instructed to millions of students. Although nearly every student in the U.S. has access to secondary education, only 10 percent of high school graduates from lower-income families obtain a degree compared to the 50 to 75 percent of middle and upper-income children. Beyond 12 is a San Francisco based non-profit that offers online tools for high schools to track the course of alumni as well as an early detection system and student engagement site. Their mission is to bridge the gap between low-income students and universities to ensure that everyone, regardless of their financial background, has equal opportunity to receive higher education. The organization has various positions available, but also hires college coaches. These individuals have been out of college for three years or less and work hands-on with high school and college students from underserved backgrounds across the country providing guidance and support that will help them navigate the complicated and often times overwhelming high school-to-college transition. The Bureau of Labor Statistics’ page for information regarding Kindergarten and elementary school teachers in the United States. The Bureau of Labor Statistics’ page for all information regarding high school teachers in the United States. An explanation of a Master of Education as well as the different career options available to a person who earns one. Fast Company’s list of the top 10 businesses in education.